In 1990, two men met in a hotel lobby in Mexico City. 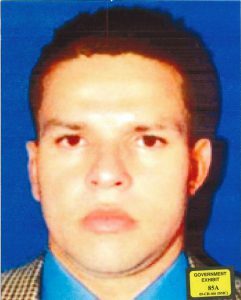 One was Juan Carlos Ramírez Abadía, a man known by the nickname “Chupeta.” Ramírez was a leader of the North Valley Cartel in Colombia. Cartels are gangs, well organized gangs. The other man in the hotel lobby that day was a short but tough-looking fellow who was at the beginning of his cartel career. His name was Joaquín Guzmán Loera. Guzmán was an ambitious and ruthless new leader of the Sinaloa Cartel. Later he would become known as “El Chapo.” The two made plans for the shipment of cocaine through Mexico to the United States. Ramirez recalled how Guzmán demanded a higher cut than most were getting. He wanted 40 percent, while others took 37 percent. “He said, ‘I’m a lot faster, try me and you’ll see,’” Ramirez said in courtroom testimony last Thursday. Ramírez was a strange sight in the Brooklyn federal courtroom on Thursday afternoon. Cosmetic surgeries to hide his identity have left the former leader with a contorted look. His high protruding cheekbones, sunken eyes and taught skin give him a startling and almost inhumane look. “I had changes done to my face. 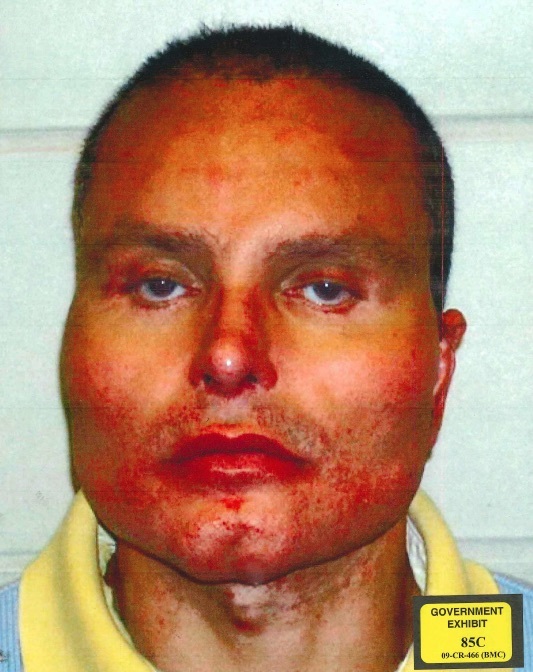 I altered the physical appearance of my face by changing my jawbone, my cheekbones, my eyes, my mouth, my ears, my nose,” he said. Besides the steeper cut from the revenue, Guzman wanted only one other thing from Ramírez, the purest cocaine possible. A meticulous man, Ramírez was more than happy to comply. He regularly checked on the cocaine to ensure its quality. That quality worked its way into his security and his shipment plans as well, as he bribed officers to erase all memory of him, from fingerprints to records. Ramírez, who eventually became Guzmán’s main supplier, named various distribution points in the United States. From Los Angeles to Chicago and New York – all of which he distributed to though Guzmán. The case has been going on for close to three weeks. Ramírez is one of a number of witnesses who have been testifying in the case against Guzmán. Officials of the U.S. Drug Enforcement Agency and other government personnel have also taken the stand to recount stories of drugs found in tunnels and on ships. Large boxes of cocaine were opened in the courtroom, to demonstrate the large amounts that were found in shipments. Those testifying spoke extensively of the riches, power, and brutality that were part of Guzmán’s power. Juan Carlos Ramírez Abadía, ‘Chupeta,’ after his facial surgery. The story of Guzmán is one that has made headlines worldwide. The United States federal government has painted a picture of him as one of the world’s most dangerous men, calling him “the most ruthless, dangerous, and feared man on the planet,” according to a Fox news story. Forbes magazine ranked him as one of the most powerful people in recent memory, calling him “the biggest drug lords of all time.” His aggrandization has spawned movies and books that glamorize the life of the cartels. Born into a poor family in the small village of La Tuna, Guzmán went from selling oranges as a small child to cultivating opium poppy for his father to sell. From there he moved to open his own marijuana field with some of his close relatives and he took growing spaces in the fields of organized Latin American crime. Guzmán’s reputation of ambitiousness and violence grew as he oversaw shipments, shooting smugglers who were late. His position in the cartel continued to grow. Following the arrest of Gallardo, Guzmán became the leader of the cartel in the Sinaloa territory. Then came the numerous stories of the shooting up of nightclubs and other public spaces, the beheadings of wives and killings of children. He has escaped from prison twice, once in a laundry cart and the other time through a tunnel in his shower area. His presence and trial in Brooklyn have caused quite a stir, with his commute to and from court shutting down the Brooklyn Bridge daily. Guzmân is accused of bringing $14 billion of drugs into the United States and faces a 17-count indictment in the United States District Court in New York. He has pleaded not guilty to these charges, with Guzmán’s lawyers suggesting he was only a lieutenant in the cartel and not a leader.